Welcome to Baby Sleep Magic! Does your baby cat-nap, feed irregularly or need your help to fall asleep? Are you struggling to get your baby to sleep through the night? Is your child consistantly tired and cranky? ARE YOU exhausted frustrated, feeling overwhelmed or depressed? Wondering where to start? Feel you have tried everything and out of ideas? If you answered yes to any of the above – Then you’ve come to the right place! Baby Sleep Magic offers an affordable service so any parent can take advantage of professional advice. Chantal is a qualified Baby & Child Sleep Consultant who can help you with teaching comforting settling techniques such as establishing a flexible daily routine, techniques on how to support night wakings, the introduction of solids and much more. My Sleep Philosophy – Don’t Cry It Out! Baby Sleep Magic methods do not involve crying-it-out. There is a gentle, proven method to get a good nights sleep for you and your child. Chantal has helped so many people. Particularly first-time Mums. I wish she'd been around when I had my first, and second for that matter! Thanks for all of your advice Chantal - I love my sleep!! Disclaimer: * Please note: Results may vary from baby to baby. I just wanted to recommend to any parent who is not getting enough sleep due to challenges with their little ones, to get in touch or follow Baby Sleep Magic. Chantal helped us to break a few habits that we had snuck into. She does consults via Skype or phone so don't let distance put you off, she has many clients in the UK and NZ. This isn't just for babies, our 3 year has benefited greatly with Chantal's help. We feel sane again and our house has two sleeping children every night, bliss! Oh My Gosh!!! I've had six nights of sleep in a row! After battling with my three year old's sleep for three years we have cracked it, Chantal you are incredible. Thank you so much for restoring sanity and sleep back into our house. We can't thank you enough. Chantal was so kind, understanding and supportive, we had a very calm and consistent approach and it's worked, the first two nights were tough but on night three she went straight down to sleep. Amazing! I can't recommend Chantal enough, don't hesitate to book her in - literally life changing. Oh my I was at my wits end with my nearly 2 year old and having no sleep since she was born, I contacted Chantal and felt a shy of relief. Chantal has helped me put a rountine in place to which my child and I both love and sleeps 11 hours solid at night. The time difference to the UK proved no problem for Chantal and was always on hand with a quick message/reply. I just wanted to say a MASSIVE THANK YOU to Chantal. I couldn’t be more grateful for your help and support! At the time, my 7 month old, would wake countless times between 6pm and 6am. She has done this since day one. I would feed to sleep, and feed any time she woke up during the night. I would co-sleep on and off and feed to sleep all day and night. After being left to sleep around 6pm, She’d wake 15-20min after, wanting me for comfort. This would go on for hours. Bub is now 8 months and sleeps from 6pm to 6am and not only puts herself to sleep, but puts herself back to sleep if she wakes, without my assistance. Thanks for the ongoing professional support and giving me the confidence to get to this point!! I couldn’t be more grateful and recommend Chantal’s services to anyone wanting to change their babies sleep habits for the better! Thank you! Thank you! Thank you! Thank you so much to Chantal!!! She is amazing and so supportive!! She helped me when my daughter was 7 months old to sleep through the night and self settle.. i had no idea she wasn't getting enough sleep during the day so Chantal helped us put a better routine in place. Now my daughter is 22 months old and going through a sleep regression since we went on holidays. I called Chantal, she remembered who I was and without hesitation began giving me advice and guidance. For 7 weeks my husband and I listened to our daughter cry for up to an hour before she went to sleep, I called Chantal and that night my daughter fell asleep after story time and I was able to put her down without waking. I now have the tools and support from Chantal to get through this regression, I will be forever grateful and calling on her when baby #2 comes along! A massive THANK YOU to you Chantal for giving me the strategies to teach my 11 month old to sleep through the night and have better day naps. Up until your involvement, our daughter was waking during the night up to 4 times where I would automatically breastfeed her in the hope she would go back to sleep quickly. Often this did not work and my daughter stayed awake anywhere from 3.30 am. This amount of disruptions led to severe sleep deprivation and inability to function most days. I was reluctant to engage a sleep consultant thinking that my daughter will 'grow out of this habit' and being too proud to get help. Thank goodness I called you. I saw instant change from night one by only making the simplest changes to my daughter's eating habits and environment. I was taken aback by the intensive support you provided me and the way you respected me as a parent, particularly when I requested to change the plan as I knew my daughter would not respond positively to the initial process. 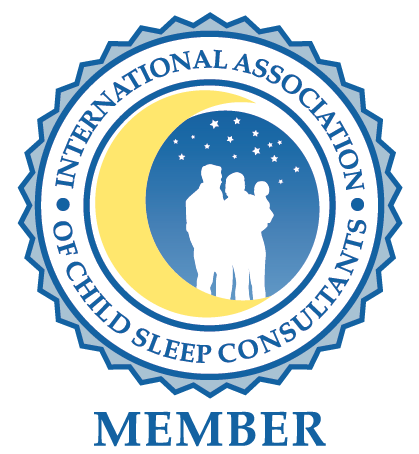 I cannot thank you enough for helping me to help my daughter learn how to sleep effectively. I love I now have 'me' time of an evening! Your intervention has been so life changing I have already provided your details to a number of other parents struggling with their children's sleep difficulties. Thanks again Chantal 😊. Thank you so much Chantal! My 7 month went from waking up 2 times a night for fussy, hour long wakes, to sleeping through the night! He no longer feeds at night and knows how to self settle and put his own dummy back in. I don't hear a peep from him now after I put him to sleep during the day or night. Chantal has been more then available to chat with me over the last few weeks and I couldn't be happier or recommend her enough. Thank you Chantal for giving us the tools and guidance we needed to get our little 10month old baby to sleep better through the night. He was a constant waker (sometime 7times in the night) and now after only 2 weeks we are down to almost 2 wakings if that and only a dream feed... a bit more work to be done on our end but we are finally on the right track and mummy and daddy are getting more sleep. Thank you Thank you Thank you. Oh my goodness, I cried over the effects Chantal had made on my toddlers sleep. We had been going from my 20 m/o only being able to fall alseep on us, as well as co-sleeping at night, to sleeping on his own alllll night - even ASKING to go into his own bed! "After a couple days of using chantals' routine for my 16 month old she was sleeping through the night and having amazing day naps! highly recommend !! the change in baby & also myself from being able to have a full night sleep every night is unthinkable! Kirsty & 6 month old Addison from Mt Isa!